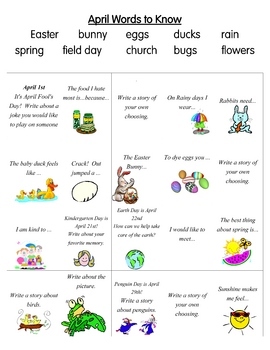 A day by day calendar for April of Journal Topic Ideas. Run it off and put one in each child's journal folder. The kids can go in order or they can mark an X on each square as they write about that idea. Be sure to check back for other months coming soon.